This month the theme is LOVE!!! 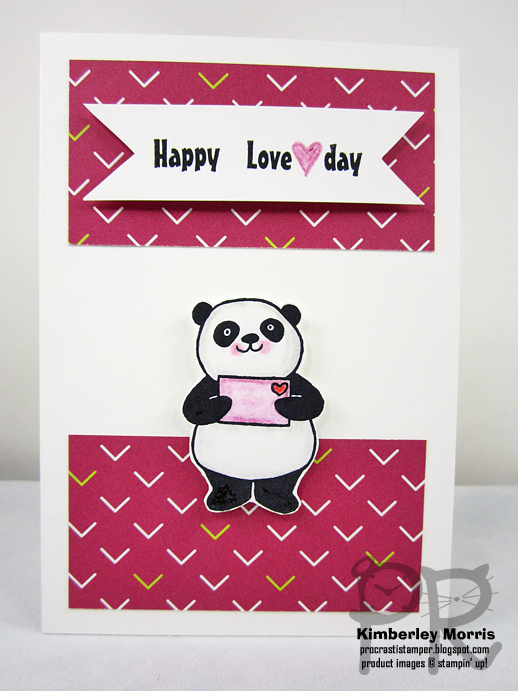 I have chosen to work with the FREE Sale-a-Bration stamp set, Party Pandas, to make some valentines. There's a little twist to this, though, as I'm using supplies that were actually intended for Birthdays. I'll show you the valentines first, then tomorrow I'll show you the birthday version...using the same supplies! 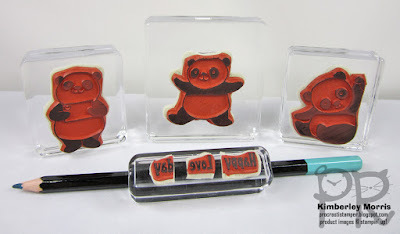 These valentines were actually planned around $51.50 in supplies you can buy, to get the Party Pandas stamp set (in wood-mount or cling-mount) for FREE. You'll want to buy one each of the following: Notecards & Envelopes (20 cards with envelopes), Picture Perfect Party 6"x6" Designer Series Paper, Basic Black Archival ink pad, Basic Black marker, Watercolor Pencils, and Whisper White card stock (40 sheets). 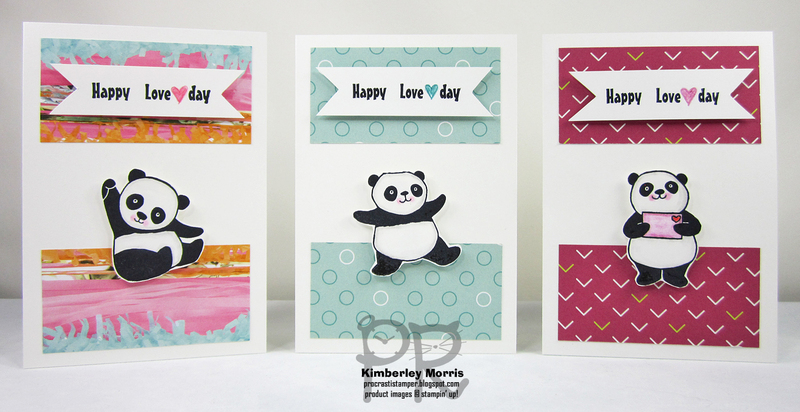 Below are 3 of the 5 patterned paper designs I thought worked well for valentines, using all 3 of the different pandas in the stamp set. But really, you could just use that same little guy holding the envelope with the heart on all of them if you wanted. 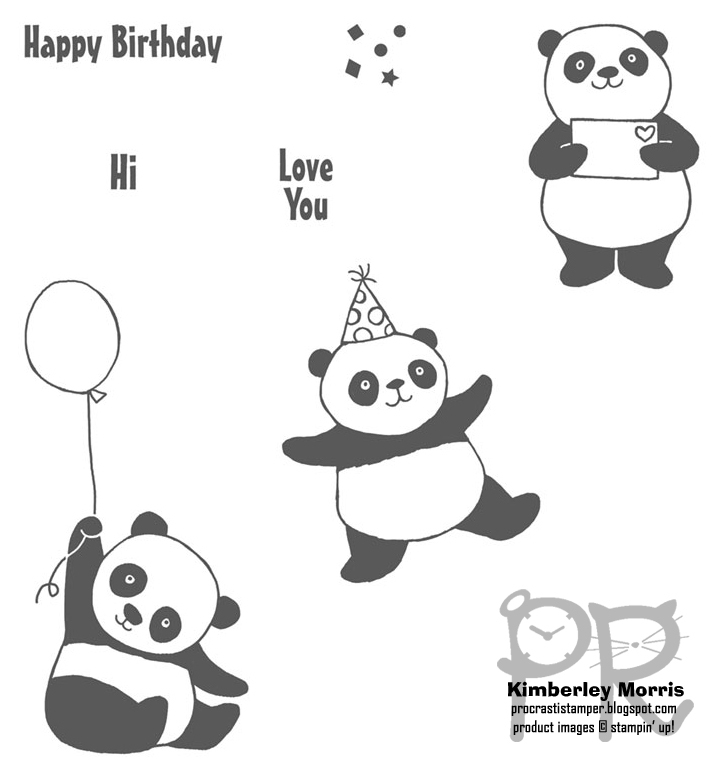 This panda image has a balloon in it, though I omitted that part. I think it looks like he's waving! 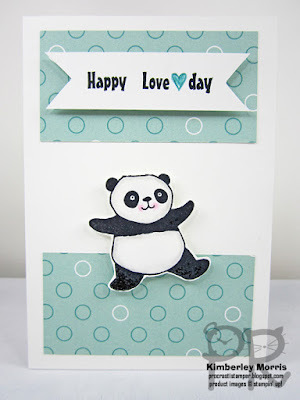 This panda image has a party on it, but I omitted that part for the valentine. The top and bottom patterned paper is 1-1/2"x3", and the banner is 2-3/4"x3/4". 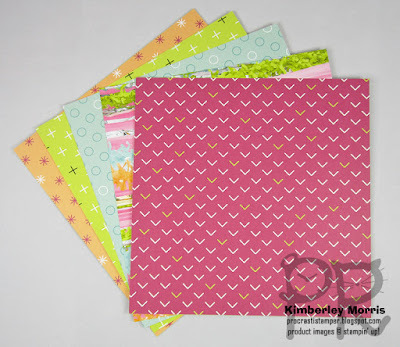 The Picture Perfect Party 6"x6" Designer Series Paper package contains 48 sheets, 4 each of 12 double-sided patterns. I felt the 5 patterns below worked best with the supplies I packaged together to get the Party Pandas stamp set for FREE. Using my pattern, you can get 4 valentines from each 6"x6" sheet, so you could use each of the sheets below to make 4 valentines, which would give you 20 valentines. But, because there are 4 of each of those designs in the package, you can actually get 80 valentines total using all the sheets of these 5 designs. However, with the initial $51.50 purchase, you'll only have supplies to make 20 valentines. Don't worry...I have a few ADD-ONS listed below the paper picture so you can get MORE FREE STUFF! ADD-ONS FOR 80 VALENTINES: First, you'll want to buy (3) more packages of Notecards & Envelopes. In the original $51.50 purchase, I listed the Basic Black Archival ink pad, and if you buy that I would recommend you also purchase the Basic Black Archival Ink Refill. You should always buy a reinker at the same time you get your ink pad, if at all possible. The Blender Pens are an excellent partner for the Watercolor Pencils, they work great to soften and blend the colors. 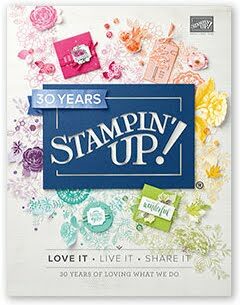 The Picture Perfect Party Classic Stampin' Spots, and the Picture Perfect Party Card Stock Pack will give you more coordinating colors for your projects. These Add-Ons total $52.50, so you are now ready to get another Sale-a-Bration item for FREE! 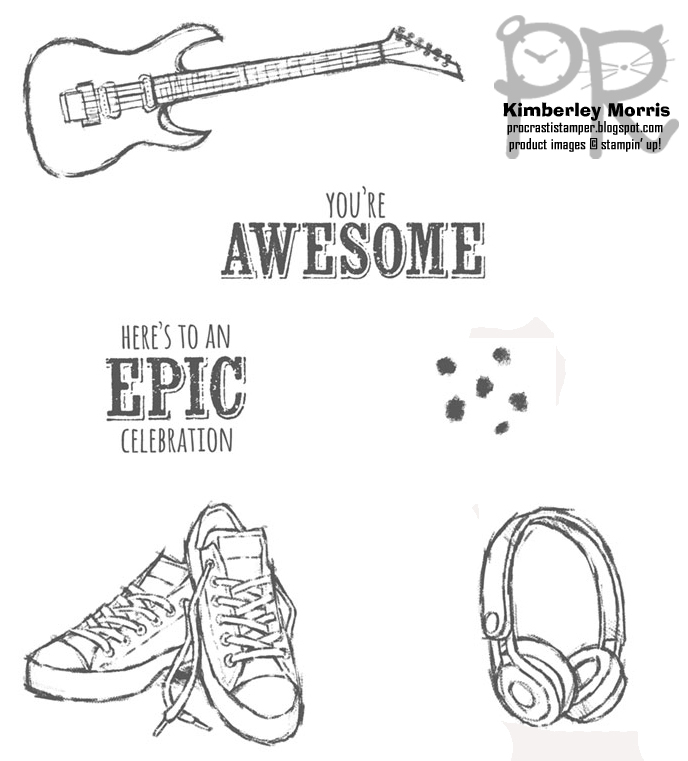 I highly recommend the Epic Celebrations stamp set (in either wood-mount or cling-mount), which you can use with the remaining patterned paper to create awesome BIRTHDAY CARDS! 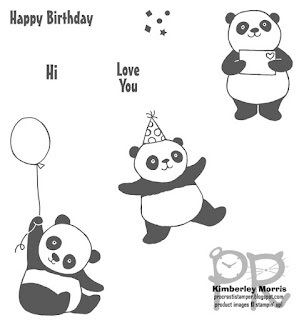 I chose the Party Pandas stamp set for FREE in cling-mount, because I wanted to cut the stamps apart. You can see what I cut apart in the pictures below, but DO NOT cut yours unless you are totally confident about it, or don't care if you mess it up. You can get the same look with the pandas by stamping the entire image and just cutting off the parts you don't want to use, when you cut them out. 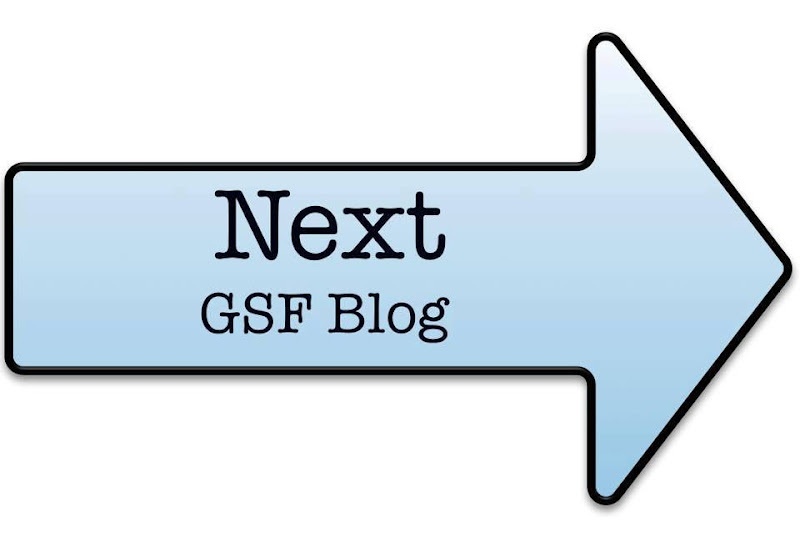 You can also stamp the sentiments, cut the individual words out that you want, and adhere them to the banner where you want them. So, go ahead and get the Party Pandas for FREE in wood-mount if you prefer, as you can still easily use them for these projects! Plus, you won't have to buy or have Clear Blocks on hand if you get the wood-mount. 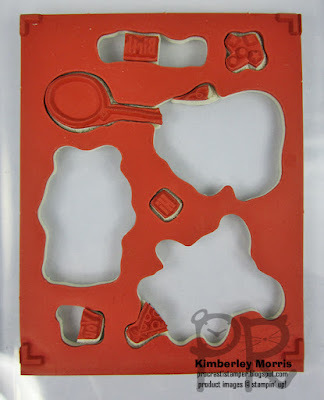 I used (2) Clear Block C, (1) Clear Block D, and (1) Clear Block G for my trimmed stamps. Here are the trimmed stamp pieces, still in the stamp case. I can easily put them on the block next to the other pieces to recreate the original image on one block. You don't have much time before Valentine's Day to get these done, so Order from My Online Store NOW to get your supplies on their way! I will be popping back in over the next few days with a video to walk you through making these, along with some colorful variations on them you can choose if you order the Add-Ons for 80 Valentines I listed above! 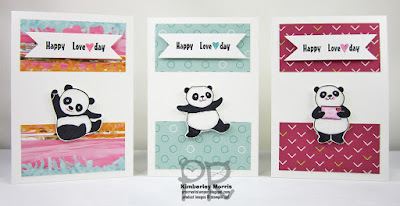 Stampin' Supplies: Party Panda stamp set, Whisper White Notecards & Envelopes, Basic Black Archival ink, Basic Black marker (you'll want this to help fill in any little imperfections in the solid parts of the pandas), Picture Perfect Party Designer Series Paper, Watercolor Pencils, Stampin' Dimensionals, Stampin' Trimmer, SNAIL Adhesive. 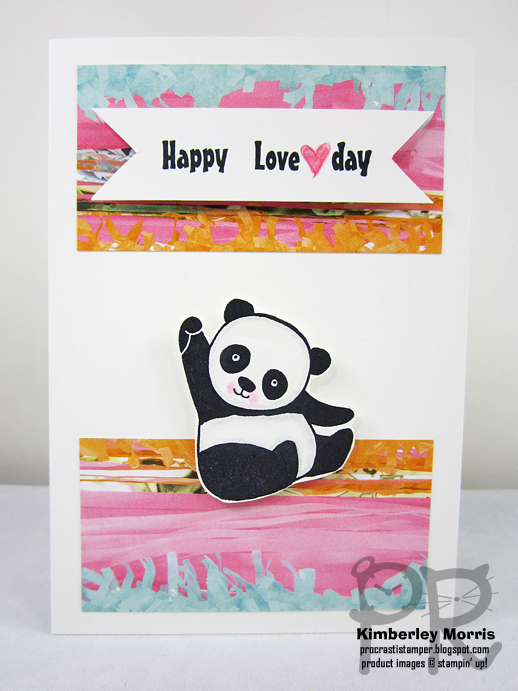 Click the Next arrow below to see Marieke's creations! So Stinkin' Cute. 3 ways too. Greta cards Kimberley! Those pandas are too cute ! Good tip about the cutting out! Love the cards. 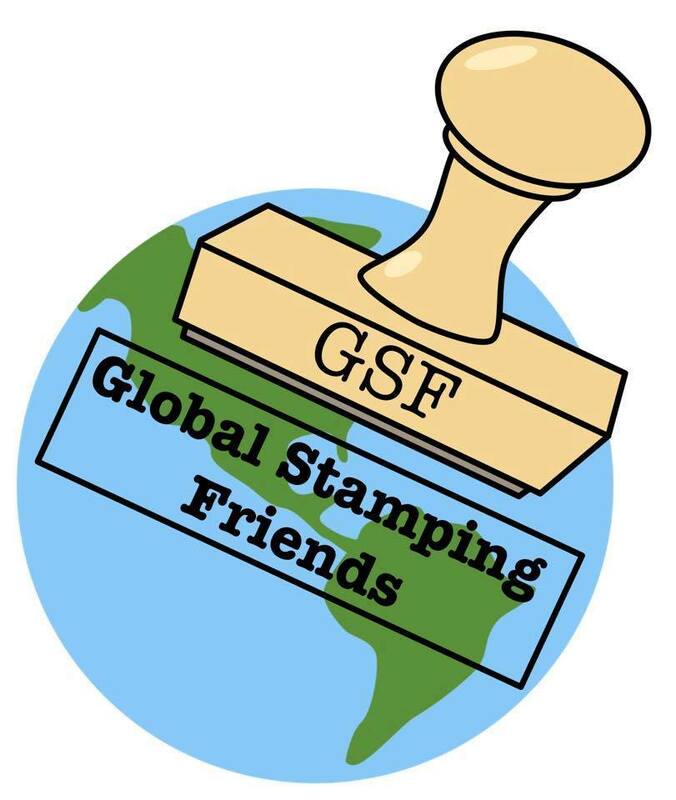 Thank you for showing the cut up stamps. You are brave but it works!